Spacious Vacation Home Rental accomodating 16 guests with pool table and bar in game room. 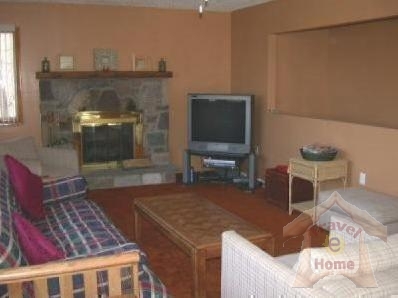 Living room with stone fireplace, 7 bedrooms, 2 baths, family room with woodburning stove. What a great great Holiday Travel Home Rental for family gatherings. Sleeps 16.